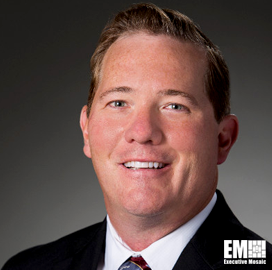 Brad Bolstad, director of Raytheon‘s space systems business, has said the company works with U.S. agencies to build missile warning and defense systems with new technology such as space-based sensors and ground-based data processing systems. Bolstad cited the 2019 Missile Defense Review that calls on the U.S. to build use space-based sensors for “limitless geographic flexibility” to detect missile threats. He said Raytheon is already working on such technology with various partners, including Lockheed Martin’s Next Generation Overhead Persistent Infrared Block 0 missile warning satellite, the Missile Defense Agency’s Space Sensor Layer and the Defense Advanced Research Projects Agency’s Blackjack satellite. These programs are aimed at providing rapid and wide missile detection and tracking from space. Raytheon also collaborates with the Air Force to build a data management tool that would help the military handle floods of satellite data. Bolstad added the company developed a prototype for the Future Operationally Resilient Ground Evolution Mission Data Processing Application Framework.